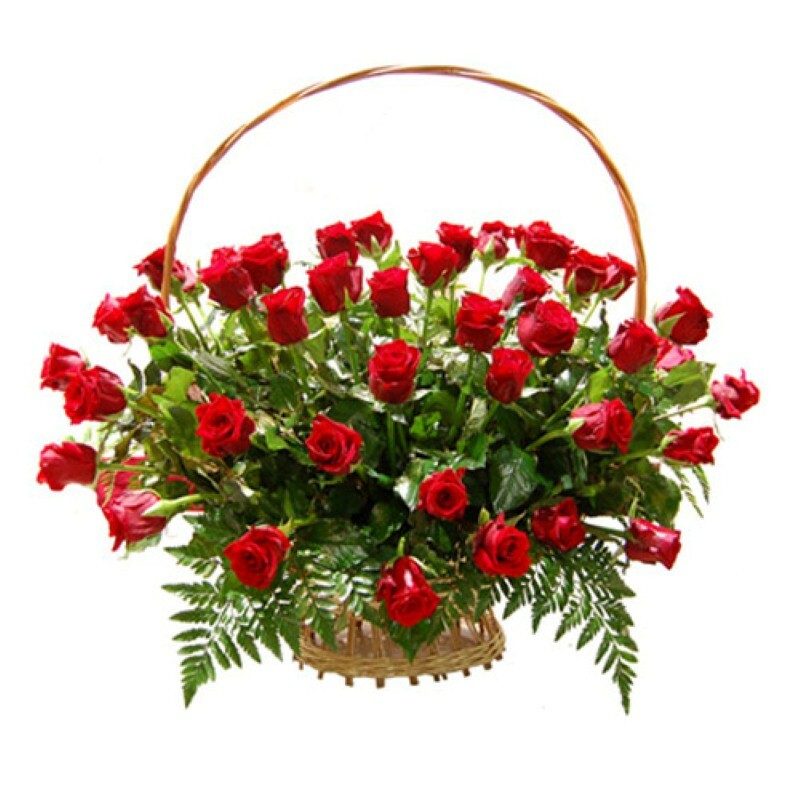 Product Consist : Handle Basket Arrangement of 50 Red Roses. 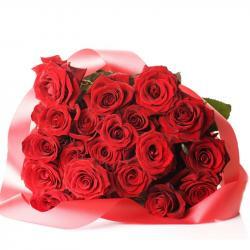 Gift this amazing gift for the love of your life on the special day of Valentines. Showcase your affections for that one true innocent love. 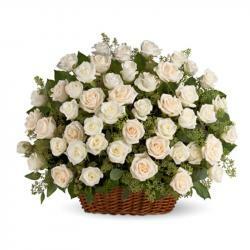 A Beautiful handled basket arrangement of 50 red Roses. 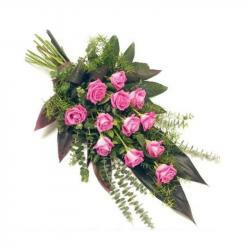 Watch her cheeks blushing when she receives this ravishing floral gift. 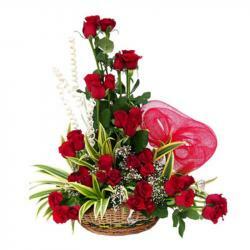 Product Includes : Handle Basket Arrangement of 50 Red Roses.